Has streaming technology changed the way we live? You no longer have to record a TV programme on a physical recorder, such as old-school VHS tapes, so you can watch it later. Streaming technology allows you to watch what you want when you want. This is a revolution in the entertainment world. Some say it was started by Apple with the introduction of iTunes. Before iTunes was unveiled, most streaming sites were illegal, and Apple was the first big manufacturer to fully commit. Monks can help you design Email Campaigns as per your custom requirement. Just supply us your brief, brand guideline & final content copy. 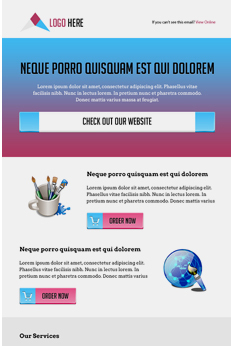 Monk’s expert team of designers will craft a beautiful email template for you. On approval, Monks will code it into an email html compatible with 40+ email clients.